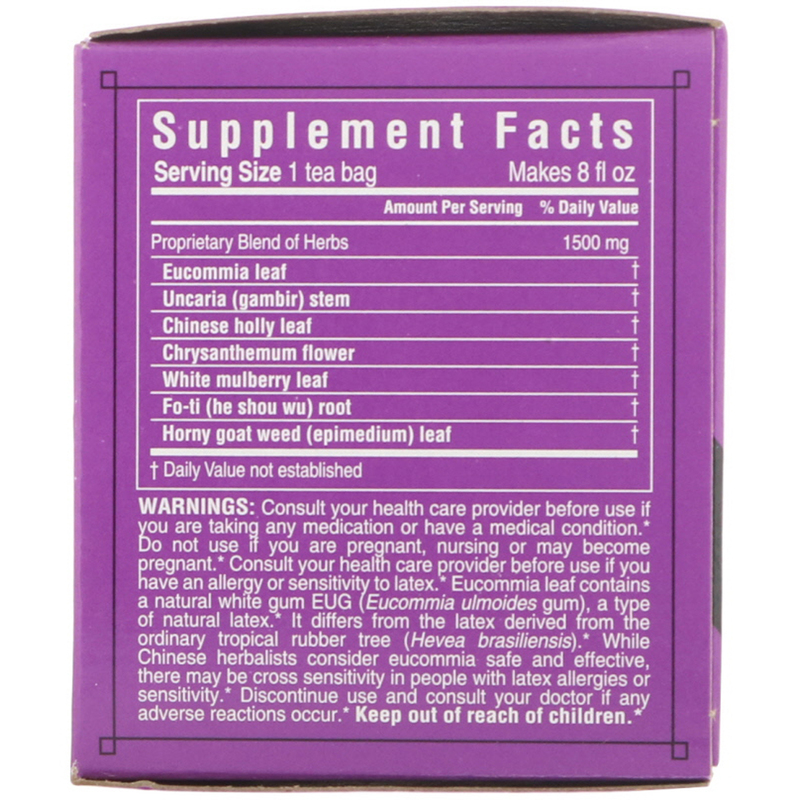 The Chinese have used the herbs in this delicious, mild-tasting tea for thousands of years to help maintain blood pressure levels that are already within the normal range, and to help nourish the kidneys and liver. Eucommia is highly esteemed as a vitality herb. 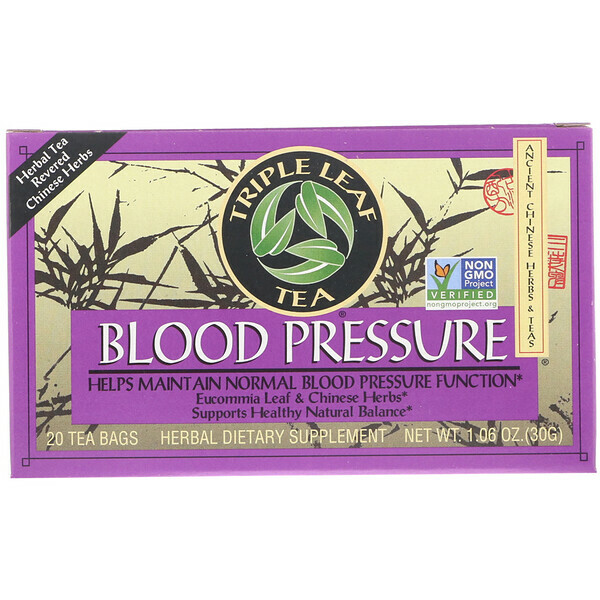 Traditionally, it was used to fortify the body's "jing" or essence. Eucommia, as well as uncaria, Chinese holly, mulberry, chrysanthemum and epimedium have a long history of use to help nourish the kidney and liver. Fo-ti is a renowned herb, used traditionally to help support healthy, normal vitality and to help nourish the blood, kidney and liver. Caring for one's kidney and liver, along with a healthy lifestyle and wholesome foods, was believed to contribute to balance and well-being. It also was considered to help promote the healthy function of the back, bladder and joints. Triple Leaf Tea comes from such a tradition. It is made in the U.S.A. by a Chinese American family-owned business. The company owner can remember stories of his own grandfather selling herbs and teas in his village in China. Today, these traditional Chinese herbs and teas are available to you. We wish you harmony and balance and well-being! 1-3 cups daily. Enjoy this tea hot or iced. 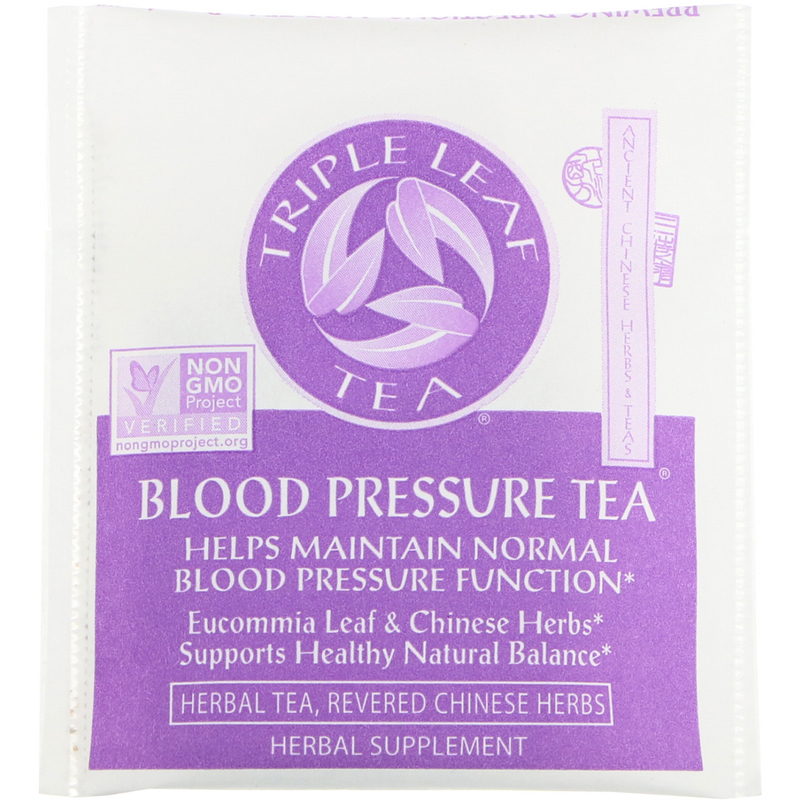 For a delicious addition, drink any of Triple Leaf Teas's Hibiscus, Green, Decaf Green or White teas. Consult your health care provider before use if you are taking any medication or have a medical condition. Do not use if you are pregnant, nursing or may become pregnant. Consult your health care provider before use if you have an allergy or sensitivity to latex. Eucommia leaf contains a natural white gum EUG (Eucommia ulmoides gum), a type of natural latex. It differs from the latex derived from the ordinary tropical rubber tree (hevea brasilensis). While Chinese herbalists consider eucommia safe and effective there may be cross sensitivity in people with latex allergies or sensitivity. Discontinue use and consult your doctor if any adverse reactions occur. Keep out of reach of children.